Welcome to Must Read, where we single out the best stories from around the automotive universe and beyond. Today we have reports from Ad Age, The New York Times and Road & Track. An interesting take on the Super Bowl ad for the Maserati Ghibli, but not one I necessarily agree with. I'm not convinced any of those strategies would have gotten as much hype as a well-executed Super Bowl ad, especially homepage ads on AOL or Yahoo. Who cares? Paying for the most expensive spot with the highest production values, in the most competitive automotive media event, doesn't strike me as what a challenger brand — which it claims to be in the ad — should do. 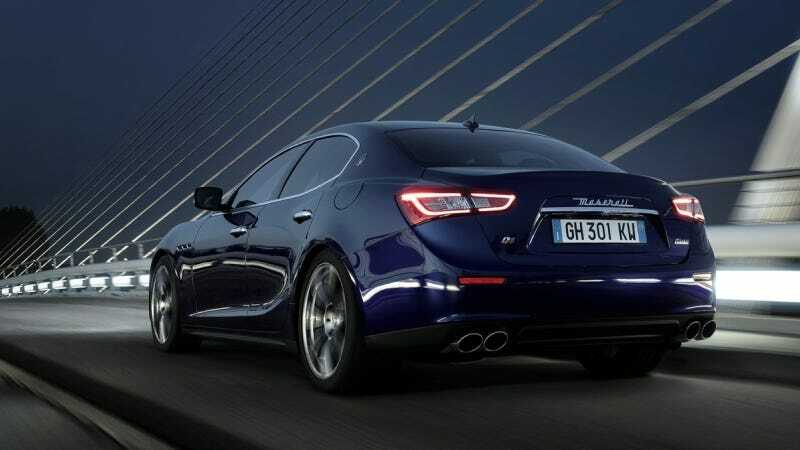 Kudos for Maserati's boldness, but its money could have been spent a lot more imaginatively and responsibly. The NYT looks at how cab driving has shifted to a largely immigrant-driven job in the Big Apple over the last few decades. Former and current drivers said the trend could be traced in large part to changes in cab leasing terms in the 1970s. With rules that now often require much of a long day's work — a standard shift is 12 hours — just to cover the daily rental rate, there is far less latitude for students, performers or other young New Yorkers to drive cabs for part of the day as supplemental income. Great road trip story from Zach Bowman in an Audi A6. Queens of the Stone Age is my go-to "stay awake" music too. We're a long way from the Tennessee Theater. Just 24 hours ago, we were standing three rows back from the stage as Josh Homme and his bandmates greeted the crowd. I take that whole "Never meet your heroes" thing pretty seriously, and after years of rolling in the Queens of the Stone Age catalog, I was worried the band would simply go through the motions for a town like Knoxville. But that wasn't the case. The venue was packed, and the show threatened to melt the paint off the walls. Pure rock.